If you are a professional or serious wine enthusiast this course is for you! It covers the top wine producing countries in the old and new world. If you are currently in the wine or hospitality industries you can start you Guild education with the course. 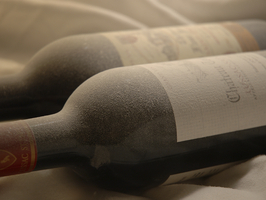 This course provides the wine regional knowledge and tasting skills to become a wine aficionado. This course is available in two formats: (1) 11 weeks meeting once a week for 5 hours or (2) an intensive study course meeting from 8am to 5pm 6 days (Monday through Saturday). When you go to the schedule you have the option to sign up for either format. Please sign up early, some materials are sent out in advance to help you prepare for one of the final exams.